Here’s a site to make Cookie Monster proud. When looking to send a special gift to say “thank you,” “love you,” or “hello,” I like to make an impression and what better way than with cookie gift baskets? My friend’s at David’s Cookies are a resource for that delicious sugary goodness offering cookie delivery of fresh baked goodies like chocolate chip, peanut butter, and oatmeal raisin. Not only do they ship cookies, they also have luscious brownies, creamy cheesecakes, and delectable tarts. Yum! I know the special someones in my life would appreciate one of these gift baskets full of cookies. Or better yet, for someone who really rocks my world, I’d enroll them in the Cookie of the Month club, which is also ideal for impressing business clients – just think, each time they receive a cookie delivery, they’d remember you! 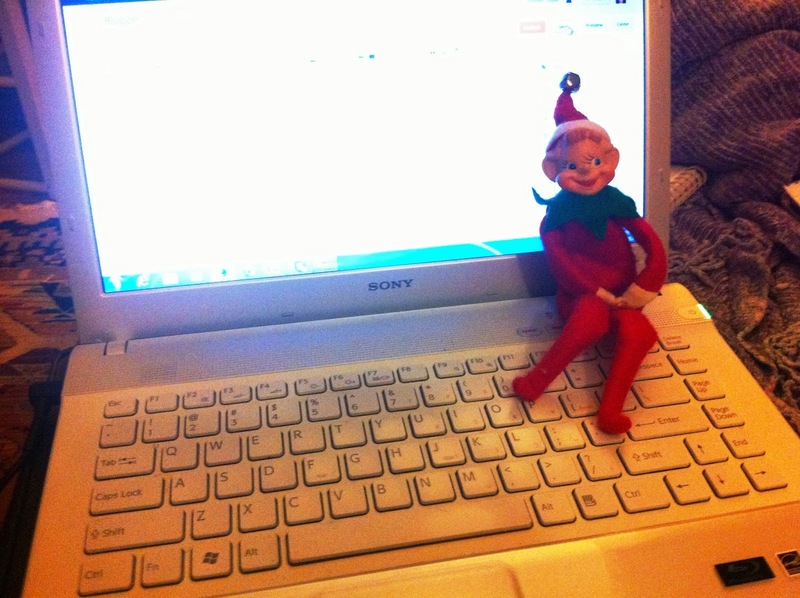 Much better than the end of year holiday gift that gets lost in a flood of others. Frozen cookie dough is also available along with sugar-free products. In case you’re wondering, all products are Kosher Dairy certified Kosher so there should be minimal worry about shipping out a cookie delivery and offending the receiver (i.e. : in case their religion dictates the need for Kosher). Check out David’s Cookies and arrange your own cookie delivery. 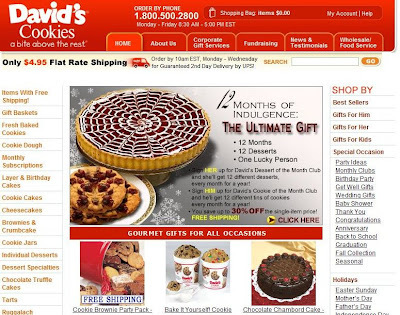 When I visited the site, I could practically smell chocolate chip cookies being baked and imagined the David’s Cookies kitchen was preparing orders to ship cookies out to lucky recipients.